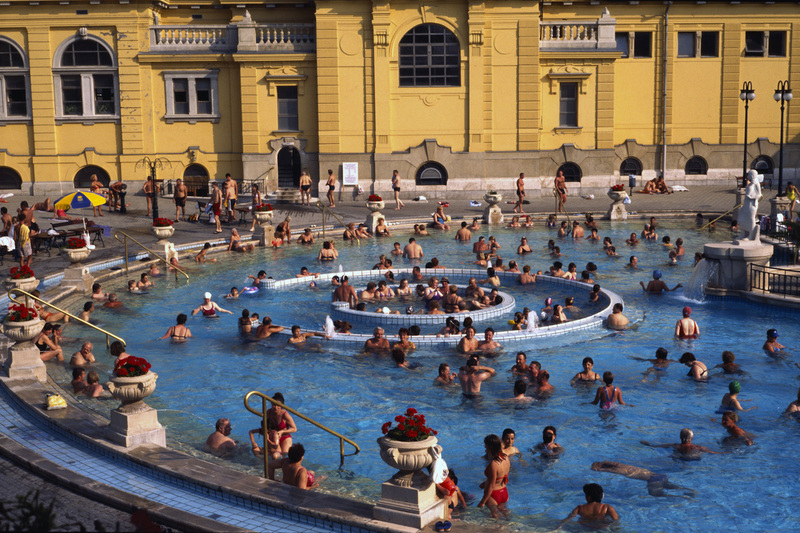 HUNGARY - The Szechenyi Medicinal Bath in Budapest is the largest thermal bath in Europe. On a visit to the city I scoped out the beautiful 100-year-old facility and then spent almost a week trying to obtain government permission to enter the site with my cameras. Near the end of my trip permission was finally granted via fax, and I rushed to the baths on what turned out to be a beautiful day. The combination of the bright yellow buildings, the deep blue water and the energy of the bathers made for a wonderful scene.